Will the giants ever fall? 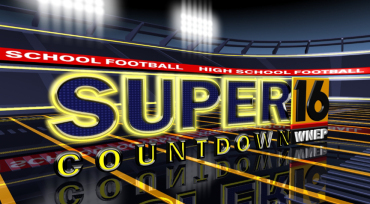 Six of the 16 teams teams in WNEP’s Super 16 remain undefeated at 9-0. While there may be six of them, two stand the tallest up top with Crestwood ranked first and North Schuylkill ranked second. Our friends at WNEP 16 are using ScoreStream to track all of the action, and you can follow along in real-time on the ScoreStream app! Make sure to follow WNEP (Twitter- @WNEPSports) as the provide the most in-depth, exciting football coverage for the Scranton area in Pennsylvania. As part of our effort to ensure users have the best high school sports coverage, we are sharing articles from the media partners who use ScoreStream for their local youth sports coverage. Follow WNEP (Twitter- @WNEPSports) as the provide the most in-depth, exciting football coverage for the Scranton area in Pennsylvania. Crestwood and North Schuylkill continue to dominate the top spots with undefeated records! Will anyone dethrone them before the season is over? Our friends at WNEP 16 are using ScoreStream to track all of the action to find out. Check out their Scranton area, Pennsylvania high school football rankings in their weekly Super 16.